We are eagerly engaged in providing a qualitative range of Seed Germinator. Operational with high precision machined components, this Seed Germinator is constructed from top-notch constituents. We have incorporated superlative features which can be seen on worldwide class of Seed Germinator. We have taken tremendous care at each and every step of the production process. In addition to this, this Seed Germinator has robust construction and elegant design. 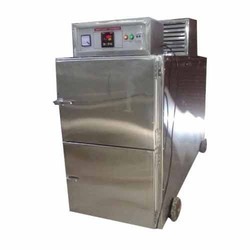 Humidity Cabinet offered by us is a double walled unit with mild steel powder coat painted on outside, and the inner is made of either aluminum or stainless steel. Air circulating fan is presented to maintain both temperature and humidity. The significant feature of this unit is the water flow is automatically controlled by a solenoid valve. 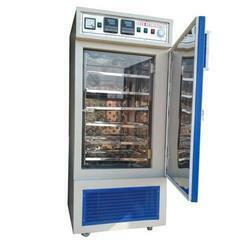 Mortuary chambers are equipments that are used for storing cadaverous under cool conditions to prevent decomposition. These equipments are made of corrosion free metal components, with insulation ensuring maximum thermal efficiency and durability. These are extremely useful in hospitals, railways and hospitals. The external surface of these equipments is chemically treated, antitrust coated and duly furnished with power coated paint. Mortuary chambers are double walled cooled units. The outer body of these equipments is constructed out of thick mild steel that are painted with long lasting power coated paint. The inner chamber of these equipments is made of heavy gauge stainless steel of SS-304 grade. The 100 mm gap is filled with high grade polyurethane insulation that ensures maximum thermal efficiency. Looking for Environmental Equipments ?